Introducing the Quintette, the 5-person bike that zips along, even over hills! We have created a new streamlined model. A bike that more people can afford. 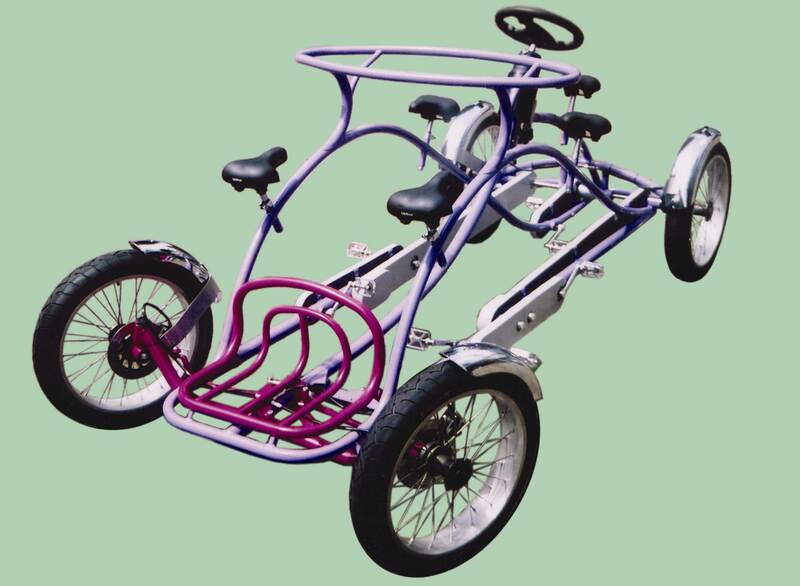 The lightweight Quintette handles like a sports car, with hydraulic steering and brakes, spoked wheels and cool colors. Quintettes are lovingly built by hand in Holland.